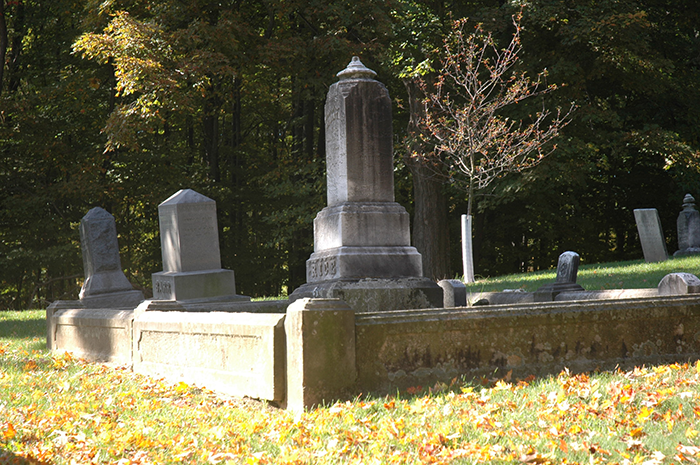 The City Of Brecksville owns and maintains five cemeteries. The City took over the cemeteries in 1947 from the Brecksville Cemetery Association. 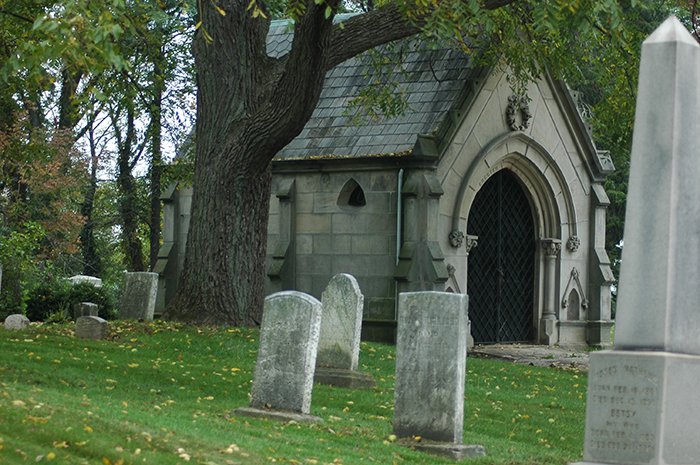 Brecksville Cemetery located at 9012 Highland Drive is the main cemetery in Brecksville. The cemetery consists of 4.9 acres, and 5,200 grave lots. Section 5 of the Highland Drive cemetery opened in May of 2003. There are 552 in the ground full size graves, 96 cremation-only graves. 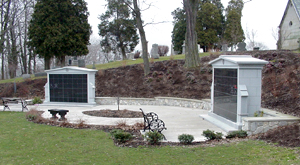 There are two columbaria walls each with 48 niches. Each niche could hold a maximum of two cremation urns. Riverview Cemetery located at 8789 Riverview Road just north of Rt.82 started out as River Cemetery, then Riverside Cemetery. Riverview Cemetery has been closed since the 1950's. Its size is 1.5 acres and has some 500 graves. Barr Road Cemetery located on Barr Road just south of the Parkway, started out as the Rice Family Cemetery, it has a size of 3/4 acres, and 200 graves. Barr Road Cemetery is currently closed. 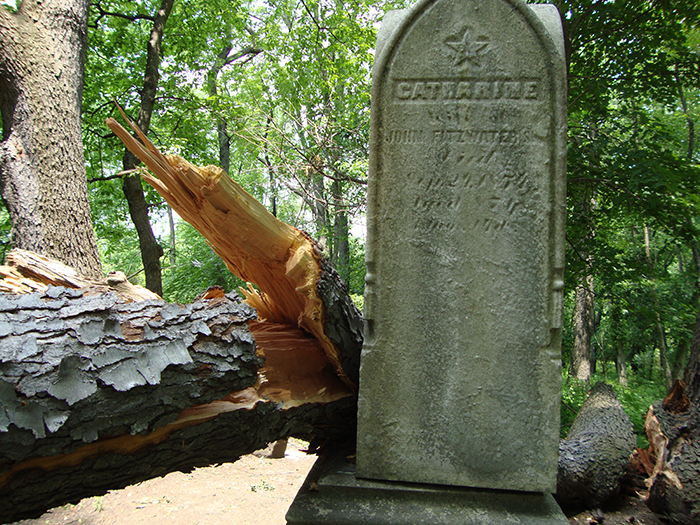 Fitzwater Family Cemetery located on Fitzwater Road was the largest family cemetery. It is currently closed. As pictured below , it sustained minor damage from a storm and was repaired. 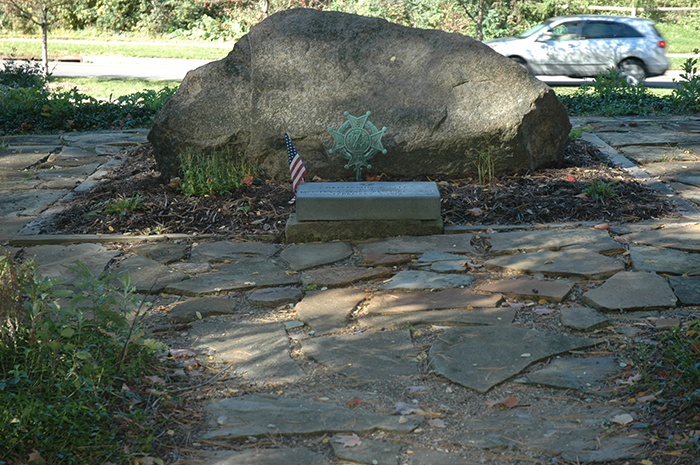 Benjamin Waite Cemetery Revolutionary War - Single grave site located on Brecksville Road just north of the Squire Rich Museum.